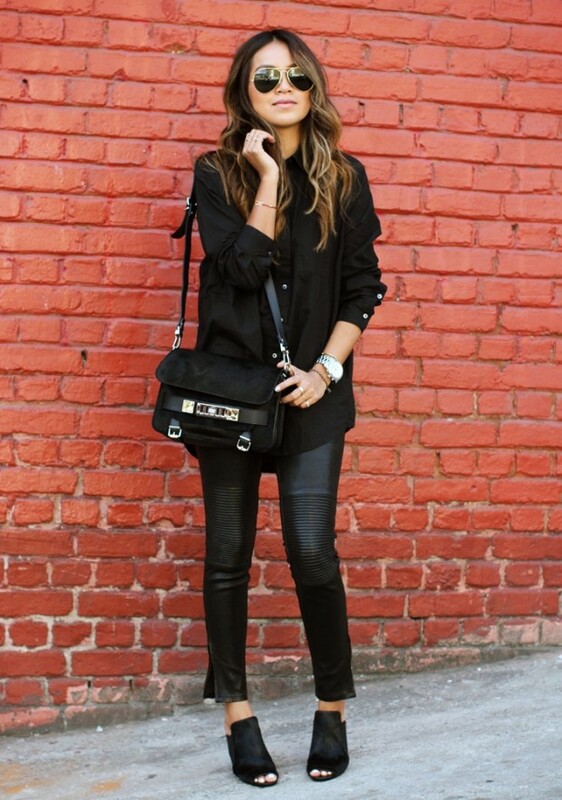 The black color simply never passes from the fashion scene, it has always been modern and attractive color. There is no woman which in her closet doesn’t have at least one piece black clothes, that can be combined in different ways. With the black color you just can not go wrong. Black combinations are favorite of the women who want to dress up easy and fast, while still looking elegant and maximally reduce the time needed to adjust. Another positive side of the black clothing is the reason why women love black: clothes can make you look thinner and leaner. For this purpose we have prepared some 23 interesting suggestions. Only look at the collection of a total black combinations and find inspiration for your dramatic look.